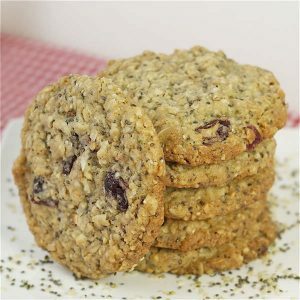 Chia Hemp Seed Oatmeal Cookies have a bit of a healthy twist to them with the addition of hemp and chia seeds. These Chia Hemp Seed Oatmeal Cookies are a big hit with my son’s University Track and Field team. They love them as an after competition treat. 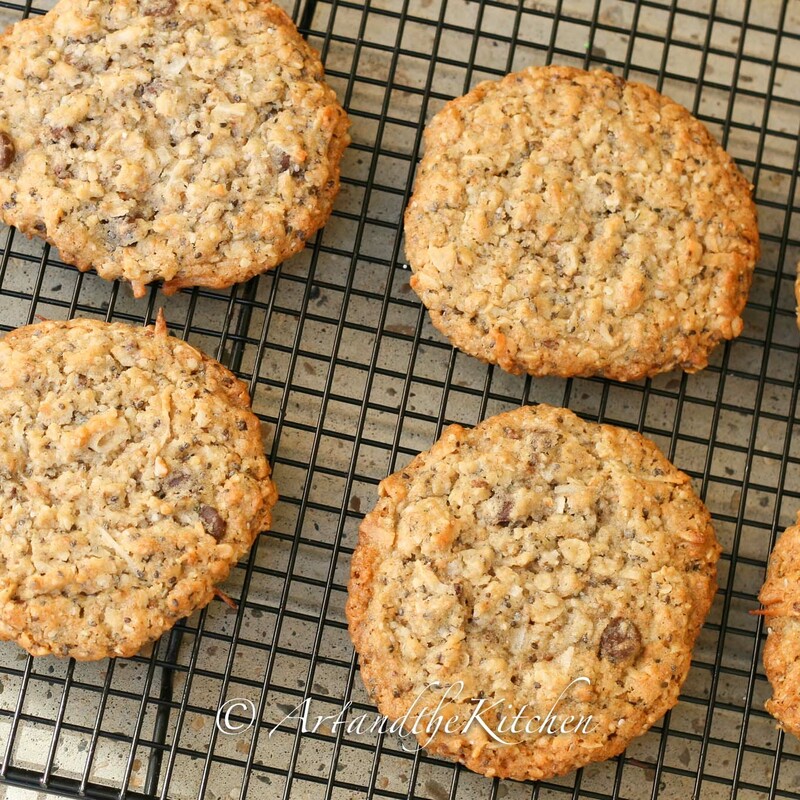 For this recipe I used multigrain flour as it adds a nice crunch to the cookies. Multigrain flour can be difficult to find so you can also use all purpose flour. 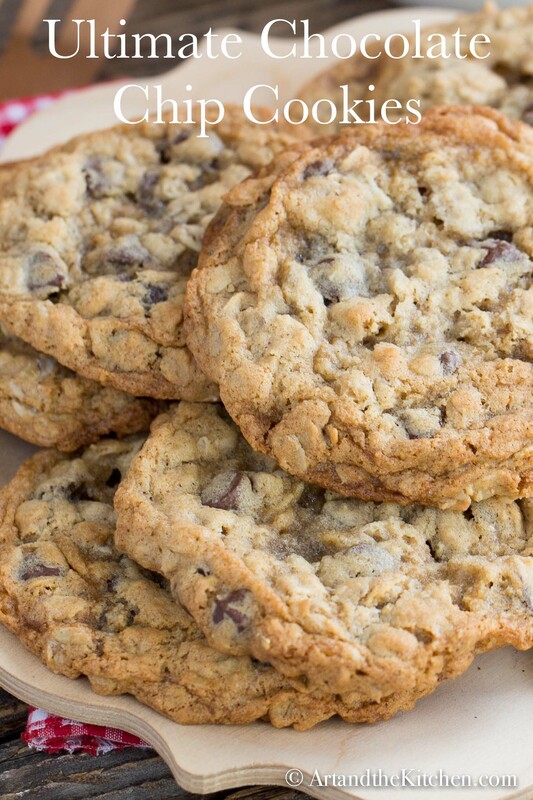 If you like, add some chocolate chips, raisins or dried cranberries. CHIA SEEDS are known as a super food and is one of nature’s most perfect food. Chia seeds contain highly concentrated amounts of essential fatty acids omega-3 and omega-6, a vegetarian source of protein, dietary fibre, vitamins, minerals and antioxidants. HEMP HEARTS have an ideal balance of Omega 3 and 6, a full amino acid spectrum (provides complete protein), and a massive trace mineral content, high in fibre and antioxidants. Truly one of nature’s super foods. 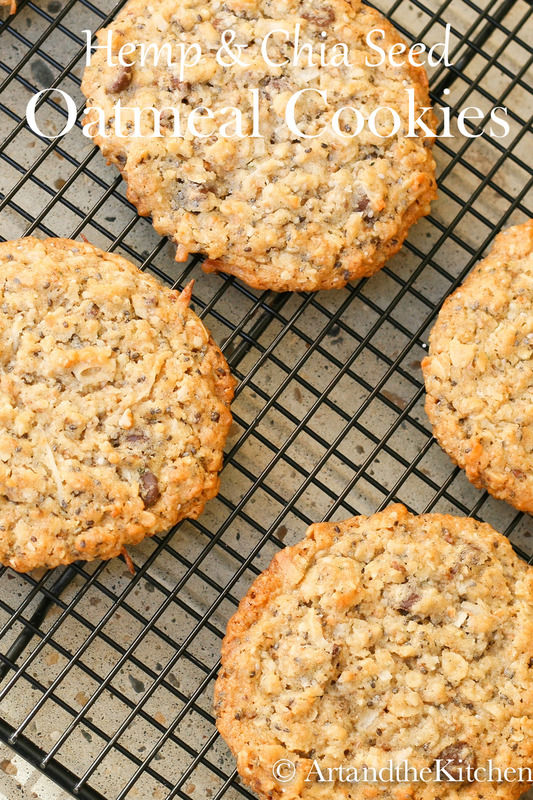 This oatmeal cookie recipe has a healthy twist and tastes terrific! 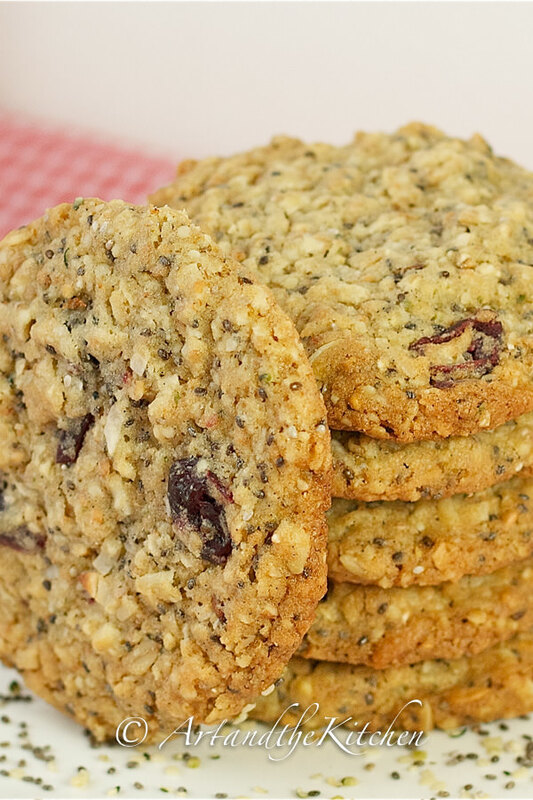 Hemp & Chia Seed Oatmeal Cookies are made with multigrain flour, oats, chia and hemp seeds. Combine flour, oatmeal, coconut, chia and hemp seed, baking powder, baking soda, chocolate chips and salt in bowl. Mix together until all ingredients well combined. In mixing bowl beat butter. (make sure you start with soft butter. Once butter is beaten well add brown sugar and vanilla, beat on medium until well incorporated. Add egg and combine. Gradually add flour mixture into butter mixture on low. Batter will be thick, I usually finish off by hand mixing to ensure ingredients are well combined. Use an ice cream scoop to get cookies same size. flattening slightly with fork. I just made these cookies with my three boys and we all loved them. It’s a great way to get them to eat chia and hemp seeds. I’m going to make a batch for myself with cranberries. Thanks for sharing this amazing recipe. Terrific Candace, glad your boys enjoyed the cookies. I love cranberries in cookies especially mixed with chocolate chips. Hi Norma, I have only made these as is, but you could try with some type of sugar substitute like Stevia. There is some kind of bake and blend product they have with instructions for amounts of substituting. YUMMY! I used a combo of brown rice flour and whole wheat flour, stevia and br sugar, and coconut oil and butter. Delicate and delicious. These are so good I will let my kids eat them for breakfast tomorrow! Thanks Sally, some great substitutions you made!! Also, what do you mean when u say coconut? Is this coconut flour or shredded coconut? Or oil? Hi Sue, I haven’t tried with almond flour so can’t answer that for you. I have used whole wheat and just regular flour successfully. Coconut is shredded coconut. Is the ingredient actually cooked oatmeal or old fashioned oats? Thanks! I don’t like coconut… what could I replace it with in the cookies? Would substituting it with extra oatmeal work? Hi Michelle, just leave the coconut out, remaining ingredients stay the same. Looking forward to trying this out! Question: will it turn out if I substitute peanut butter for the butter? Hi Angela, I don’t think peanut butter would substitute well as it bakes up differently than butter.